1. Loop the yarn as shown above. 2. Insert the hook into the centre of the loop catching the yarn with the hook and pulling it through to make a loop over the hook as above. 3. 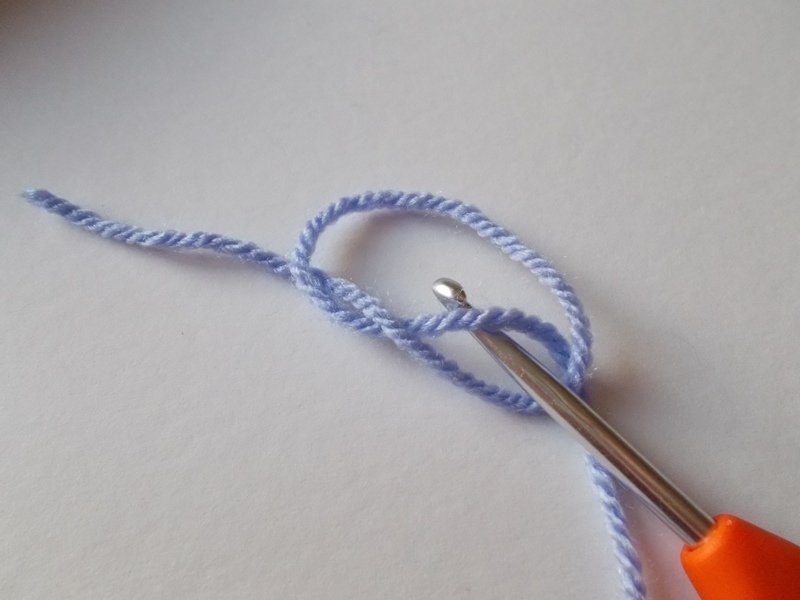 Gently pull the yarn to tighten the loop on the hook completing the slip knot. 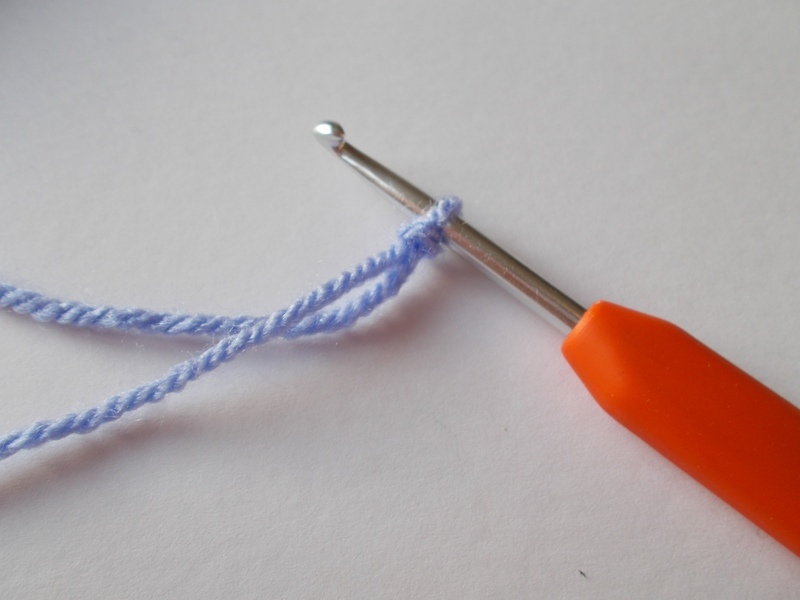 NOTE: In crochet this loop on the hook is never counted as a stitch. 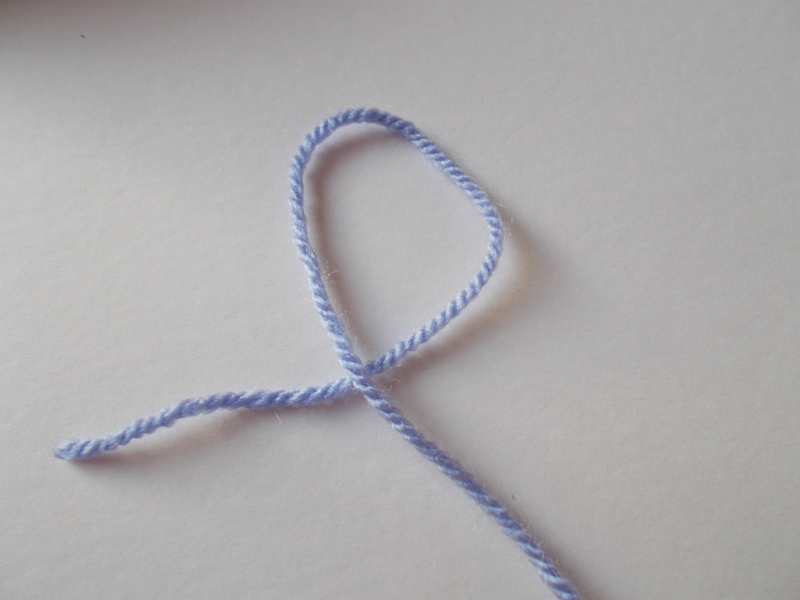 This entry was posted in Crochet, How To and tagged how to make a slip knot, slip knot. Bookmark the permalink. Stupid question …how do YOU hold your yarn ? Personally I hold my yarn next to the hook across my left forefinger and the yarn coming from the ball is wrapped loosely around my left little finger. I shall do a tutorial on that for you next. Thanks chick 🙂 I tried to comment on one of your posts but my computer kept freezing, I’d love a quick tutorial on the process of starting a new row, when you say miss first stitch where you put your hook in …does that make sense ?? Yes it makes perfect sense and will do tutorials on both those this week along with the turning chains needed for new rows for the different stitches. I’ve posted on Cottage On The Green on FB to tell everyone about your fabulous tutorials …I hope that’s OK ?